Likeyshia was living happily with her one-year-old daughter and was nine months pregnant with her second child when her children’s father was murdered. He had been the provider for the family, so when she gave birth to their son only two weeks after his death, she not only had to parent two babies on her own, she found herself unable to pay rent on their apartment. Soon, she was evicted and forced to bounce between friends and family with her children and luggage in tow. After years of instability, Likeyshia was able to secure a spot in an emergency shelter before landing in the Nicholas House Homeless to Homes housing program. While in the program, she received a partial rent subsidy on an apartment of her own while receiving intensive case management that focused on getting her back into school for her associate’s degree in early childhood development and giving her the interview practice she needed to move from a part-time airport job to a full-time daycare position. She has since graduated from the Homeless to Homes program and maintained full-time employment in a daycare for three years and her own housing for nearly two. She has also welcomed another beautiful daughter into her family! 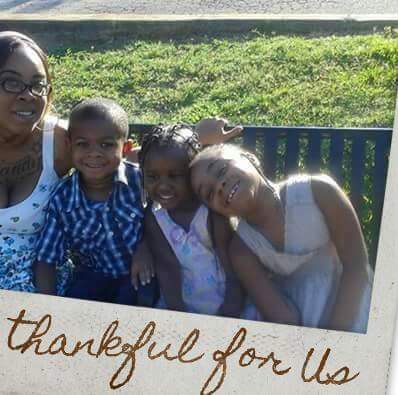 Today, Likeyshia is working on completing her associate’s degree and enjoys attending monthly life skills classes offered by Nicholas House, where she says she is treated “like family.” She recently applied for a house with Habitat for Humanity after learning about their programs in a Nicholas House class and is optimistic about her family having their own house soon. 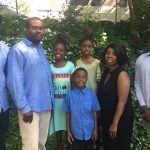 April and Arnold, a married couple with six children, never imagined that health problems would make their family homeless.